Dolphins, mussels, D.C., Alexandria stormwater, bay cleanup, and more in the Potomac News Reservoir. The Water Supply Outlook for July 2018 has been posted to the website. The water supply outlook is published by ICPRB’s Section for Cooperative Water Supply Operations (CO-OP) staff on a monthly basis between April and October of each year. It provides an update on the possibility of water supply releases from the area’s reservoirs based on long-term precipitation data, flows, and other information for the Potomac basin. Kayakers paddle down the Potomac River from the Brunswick Family Campground boat ramp. For many families, the Brunswick Family Campground in Brunswick, Maryland is a summertime tradition. Whether you are a hiker, biker, kayaker, history buff, or train enthusiast, there is something for everyone at this campground along the C&O Canal Park. This campground is known for two things: access to the river and trains. Campers launch from the boat ramp for a paddle down the Potomac River. Organize boat rentals and transportation with camp staff. Some campers park their beach chair in the shallow waters along the edge to cool-off on a hot day. Train enthusiasts can enjoy the trains that come rumbling down the tracks along the campground throughout the day. Don’t forget your earplugs for the nighttime rumbles! Learn more about the town’s rich transportation history at the Brunswick Heritage Museum. Plan to spend a few days exploring the area. The historical powerhouses, Harpers Ferry National Park, Antietam National Park, and Monocacy National Battlefield are all an easy drive from the campground. One of the perks of staying at a campground managed by River & Trail Outfitters is that many of their boating trips launch directly from the boat ramp at the campground. 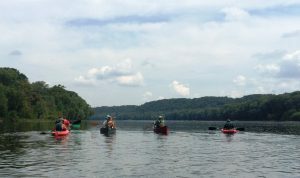 They offer a variety of adventures along the Potomac River, including an upcoming Sunset Float and Moonrise Paddle Tour on July 21. We would like to thank River & Trail Outfitters for their help as “river watchers” for ICPRB’s weekly newsletter, River Watch. Going out on the Potomac River this weekend? Show us how much you love the Potomac by using #PotomacLove in your social media posts! Good reports of smallmouth bass and catfish are coming from the Shenandoah River system. Trout management areas in the western basin are fishing well, with white miller hatches occurring in the evening. Anglers also are finding trout in the North Branch Potomac and Savage rivers. Water temperatures in the upper Potomac river are in the mid to high 70s, and the fishing is very good. Smallmouth bass in the 10”-14” range are being taken with small topwater lures in low light, and from deep, shady ledges and other structure during the day. An angler working White’s Ferry noted lots of jumping smallmouth in the morning, with some very large smallmouth striking. Some anglers were hooking flathead catfish near Dam 4. In the District, water temperatures are in the mid to high 80s, reaching the 90-degree mark in some areas. Lots of catfish are being taken at Fletcher’s Boat house, along with a few small striped bass. Anglers are finding largemouth bass and catfish at bridge pilings as the tide turns. The Washington channel docks and grass beds are giving up some bass. Grass beds in the main channel and at the mouths of tidal creeks are good targets as the tide moves. At high tide with full sun, bass move toward docks and other structure as well as dense grass beds. Milfoil bedsw in Piscataway and Broad creeks are giving up some nice bass. Snakeheads are spawning in grass beds and striking the same baits used for bass. Near the river’s mouth, anglers are chumming at the rockpiles north above Point Lookout, and chumming and trolling the channel off St. George’s Island. Anglers also are finding blue catfish, croaker, spot, and white perch. The low salinity seems to be delaying the arrival of cobia, bluefish, and Spanish mackeral. Crabbing is improving, and best of all, no sea nettles! We are grateful to the many river watchers who contribute to this effort. Particular thanks go to the state departments of natural resources, National Bass Guides, River and Trail Outfitters, and White’s Ferry. The Interstate Commission on the Potomac River Basin is hiring an Administrative Coordinator. Learn more on our Jobs page. In the western basin, small trout streams are running well with good fly fishing. Trout management areas on the North Branch Potomac and Savage rivers are producing some nice trout. The Shenandoah mainstem is producing some nice smallmouth bass and catfish, according to reports. The upper Potomac is producing some nice bass, and anglers are doing well in the Harper’s Ferry-Brunswick stretch. The water at White’s Ferry is clearing, and the ferry itself will hopefully cross the river unimpeded for the rest of the summer. Anglers are reporting some good top water action during the day. As water temperatures warm, the fish will seek shaded areas that should be targeted. In the District, anglers are reporting good catches of largemouth bass and catfish using crankbaits around bridge pilings. The grass beds at the Washington Channel wall are giving up largemouth bass as well. Anglers are having some success off Blue Plains and Fox Ferry Point as well. Downstream, main channel grass beds will be productive, although the past period of rains and little sun have decreased the beds in some areas. If the weather holds in its current pattern, the beds should come back strongly. The cloudy weather has slowed the usual hydrilla growth somewhat. Anglers are reporting very good largemouth bass fishing as well as catfish, which seem to be in spawning mode. Anglers are reporting good fishing for bass and blue catfish off Fort Washington, and at the grass beds at the mouths of tidal creeks. Spawning cats can also be found patrolling shallow areas. Low tides are in the early morning, a good time to throw crank baits and stick worms to the edges of grass beds. As the tide rises, target wood structure and dock pilings. Anglers have reported some catches of nice largemouth bass and snakeheads in Mallows Bay. Near the river’s mouth, Anglers are chumming for striped bass on the channel edge around Piney Point, St. Clement’s Island, and St. George’s. White perch and some croaker are being caught. Crabbing is slowly improving. July 4 is a Maryland Free Fishing Day! In celebration of the beginning of summer, this week’s About the Basin covers an internationally known pile of rocks that honors the summer solstice. No, not Stonehenge, but the lesser known -henge this side of the pond: Foamhenge. 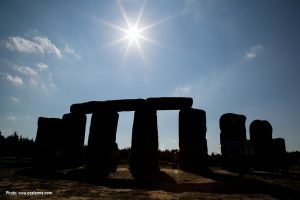 At Foamhenge, the life-size blocks of foam are chiseled, painted, and arranged to be an exact replica of the slightly-more-famous prehistoric wonder of the world, Stonehenge, in Wiltshire, England. However, this one is closer to home. Located at Cox Farms, Foamhenge is less than an hour’s drive from the D.C. Metro Area. This homage to Stonehenge is open to the public on Saturdays (12:00-2:00pm) during the summer and spring seasons. Admission to this quintessential American roadside attraction is free but only accessible via a shuttle provided by the farm. Part of the weekly event called “Smokin’ Saturdays”, farm activities also include food, feeding farm animals, produce, and live music. Over-sized games of Yahtzee, Jenga, Connect 4, and Checkers are also available for entertaining the whole family. This weekend, check out Foamhenge for a European-style staycation and marvel at the wonders that the Potomac basin have to offer right here at home. The waters of the Potomac are again receding from flood levels after several late-May and June storm systems, although damage (and maybe some benefits) will continue for some time. The flooding in the upper Potomac basin brought large amounts of sediment and nutrients into the river that can provide the food needed for algae blooms later this summer. The flows, which included numerous stormwater and sewer backups, also can cause some short-term spikes in bacterial levels. These conditions can stress aquatic animals and plants, as well as restricting recreational use. Roads and other infrastructure also sustained damage in the upper basin and Shenandoah watershed. As flood waters move downriver, they affect salinity and oxygen levels in the tidal river, stressing aquatic communities. The Maryland Department of Natural Resources (DNR) and the Potomac River Fisheries Commission are concerned about effects on oyster populations near the Route 301 Bridge that crosses the Potomac near Colonial Beach, Va. Oyster restoration efforts are being stressed by the lower salinity levels caused by the massive freshwater input from upstream, as well as how these flows may cause stratification between the fresh water moving downriver on the surface and the heavier, saltier water moving upstream on the tide. This stratification can deplete oxygen levels near the bottom, and future algae blooms that die and fall to the bottom to decompose (oxygen is used in decomposition) will intensify the problem for the oysters, which need both salty water and oxygen. These conditions can favor the growth of plants that like freshwater at the expense of plants that prefer saltier water. This interaction highlights the complex ecology of the Potomac River, where salt and oxygen levels can change rapidly in response to flow and weather conditions. These effects also influence the growth of aquatic plants (see related article), fish spawning runs, and other ecological aspects. While these episodes of deluges and dry weather can’t necessarily be blamed on climate change, ICPRB research using climate change models to predict future water availability found that many of the models did agree that weather events in the basin would become more extreme. These weather events come at a time when basin water quality is improving in many aspects, but is still fragile enough for weather patterns to exert a powerful effect. During one of the first warm days of the year, a group of people gathered in the heart of the District of Columbia. Forgoing the sun and warmth, they sat in a conference room at the Smithsonian Institution’s S. Dillon Ripley Center to learn about the backdrop to the nation’s capital and the source of our drinking water: the Potomac River. Just like the plot of a romantic novel, the visitors learned of the (ecologically) rich and beautiful Potomac as seen by the original inhabitants and the first European explorers. They learned of the struggles the Potomac experienced due to neglect, pollution, and overharvest. Finally, our river heroine sees hope in the future and a revived love from the community. The morning started out with a look through the river’s storied human history with a presentation by author and historian Garrett Peck. He let us in on a secret: contrary to popular belief, the city of Washington, D.C. was not built on a swamp. Its residents will need to blame the humidity on something else from now on. 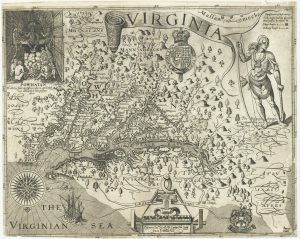 According to Peck, the Potomac River was thought by the English explorer Captain John Smith, to be a passageway to the Pacific Ocean. He found it teeming with life. Indigenous peoples lived along the river, relying on its abundant aquatic life for sustenance throughout the year. Over a century later, George Washington also saw the river as a watery highway to the west, envisioning a system of canals that could easily move people and goods up and down the river. Alas, the canal system was beat out by the cheaper and more efficient railroad system and the rest, as they say, is history. Peck went onto explain that even with the failed canal system, the river was still an important mode of transportation. The Alexandria port was once the 5th busiest port on the east coast. There were several more ports in the Washington, D.C. area that could accommodate deep, ocean-going vessels. Tobacco farms and other anthropogenic activities upstream have since filled these ports with so much sediment that now, during low tide, you are more likely to walk on them than to navigate a boat. Callan Bentley, assistant professor of geology at Northern Virginia Community College, walked the audience through the geological mega-history of the area. The six different geological regions in the Potomac River basin each tell their own story. A colorful GIF featuring the six regions can be found on Bentley’s Twitter feed. A billion years ago, the Potomac River basin was part of a pre-Pangea supercontinent known as Rodinia. The orogeny (the technical term for tectonic plate action) of the continents forming, tearing apart, smashing together again to create Pangea, then breaking apart once more created the mountain ranges in the west of the basin. The oldest geologic formation in the basin is Old Rag Mountain in the Blue Ridge Mountains. The Old Rag Granite that this mountain sits upon was crystallized during the formation of the supercontinent Rodinia. The love affair with the Potomac River celebrated by John Smith, George Washington and so many others that lived along its shores took its toll on the river itself. Sediment, pollutants, sewage, harvesting and damming decreased aquatic animals and plants, making the river a toxic brew in places. 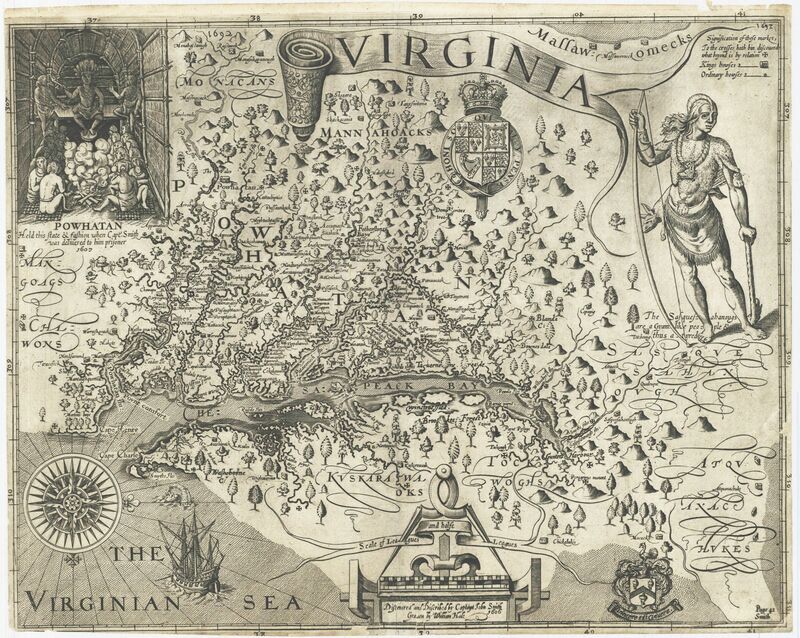 Just as many storybook romances contain a tale of struggle and loss before a victorious ending, so too, did the people of the Potomac River basin. A renewed outcry from the basin’s residents lead to new legislation, new technology and infrastructure that reduced sewage output, and efforts across the basin lead to a cleaner Potomac river. Organizations like the Interstate Commission on the Potomac River Basin worked tirelessly for a cleaner, healthier river. The river’s progress has been followed closely by Chris Jones of George Mason University (GMU), a speaker at the Smithsonian Associate’s event. Since 1984, scientists at GMU have been monitoring the water quality and biological communities in Gunston Cove, an embayment of the tidal freshwater Potomac River. At the event, Jones spoke of improved water clarity and the return of submerged aquatic vegetation, and general ecosystem recovery over the last couple decades. This trend is associated with a reduction in phosphorous loading due to process changes in the wastewater treatment plant located along the shores of the bay. A similar recovery has been seen upriver of Gunston Cove, claimed Claire Buchanan, Aquatic Biologist at the Interstate Commission of the Potomac River Basin, another speaker at the event. Her presentation started with an explanation of the abundance of fish and wildlife and the many deepwater ports along the river in the years before sediment and pollutants muddied the waters. Oysters, mussels, and underwater grasses abounded. Although progress has been made, that abundance of life has not returned and probably never will. Once an ecological regime shift passes a critical threshold, it is very difficult to return to the previous status. The river may not return to the golden era of abundance, but many are working towards a cleaner future. The final speaker at the event was Carlton Ray of DC Water, the water utility that provides drinking water to D.C. residents and provides wholesale wastewater treatment services to 2.1 million people in the Washington Metro Area. As part of the utility’s Clean Rivers Project, the combined sewer overflows, that have heavily polluted the Anacostia and Potomac rivers in the past, will decrease by 98% by the year 2023. The first phase of the project, the Anacostia River Tunnel Project, came online March 2018. The second phase, the Potomac River Tunnel Project, is underway. Due to projects like these and many others, the Anacostia River, once known as the Forgotten River, is no longer left behind. Its resurgence was noted in a recent WAMU article. Changes are being made. Fish are returning, dissolved oxygen is improving, and sewage is decreasing. There are even discussions of allowing people to swim in the waters in the next few years. We are on our way to a new era in clean water, a new regime. There is hope for the river still. Record Growth for Aquatic Grasses in the Bay. The Potomac, while Healthy, had Setbacks. An estimated 104,843 acres of underwater grasses were mapped in the Chesapeake Bay and its tidal tributaries in 2017, according to the Chesapeake Bay Program. It is the highest total amount ever recorded and the first time that total abundance has surpassed 100,000 acres since monitoring began. It was the third consecutive year of record-setting growth. The Bay total is more than 14,000 acres greater than the 2017 restoration target, and 57 percent of the ultimate restoration goal under the Chesapeake Bay Program. The total increased by five percent from 2016 to 2017. The increases have resulted both from the weather conducive to plant growth and from reductions in nutrient loadings both from reduced precipitation and the success of efforts under the Chesapeake Bay Total Maximum Daily Load (TMDL). Both modeling and monitoring results during the past several years have documented decreases in nutrients that suggest that the many efforts to reduce nutrients and sediment under the Bay TMDL are bearing fruit. Reducing nutrients is a key factor in promoting aquatic plants, which like their land-based cousins, require sunlight to grow. Excess nutrients feed algal blooms that decrease water clarity and the sunlight available to the plants. In addition, some algae attach to plants and further block sunlight. In a positive feedback cycle, as plants become established, they consume nutrients in the water and trap sediment and thereby increase water clarity. Different species of plants populate the bay watershed, and the kinds of plants found in a particular area are related to the saltiness of the water. There are several “salinity zones” in the bay with boundaries that move somewhat seasonally and with rainfall. The Bay Program examined abundance by salinity zone. They noted that the tidal freshwater area grew during 2017, achieving 96.5 percent of the zone goal. Slightly salty waters (oligohaline) fell slightly, moderately salty waters (mesohaline) rose somewhat, achieving 51 percent of the goal, with the bay’s very salty waters (polyhaline) also registering an increase. While this is great news overall, the Potomac watershed was hardly mentioned in press releases from the Bay Program or Maryland. The Potomac didn’t fare as well as some other regions of the bay, although the good news is that areas of the watershed were already doing quite well. The Anacostia River in the District of Columbia, part of the Potomac’s tidal freshwater region, held about 13 acres of plants in 2017, up almost 60 percent from the previous year. No plants were found upstream in the Maryland portion of the Anacostia, which has not held plants since monitoring began and has no coverage goal under the Bay Program. The Potomac River in the District decreased slightly in 2017 but still meets its plant goal. The Maryland portion of the tidal freshwater Potomac doubled its acreage from last year and is close to meeting its goal. The Virginia side of the river decreased slightly from 2016 but is already meeting its goal. A little further downstream, Piscataway and Mattawoman creeks continue to hold rich beds of aquatic plants, and Mattawoman Creek, despite a slight decline, is not far from its goal. Piscataway remains at about 50 percent of its goal. Piscataway Creek was one of the first tidal Potomac tributaries to hold extensive hydrilla beds in the 1980s, but plant populations have wildly fluctuated. Its preliminary 2017 acreage was about 347 acres. It held about 523 acres in 2010, declined, hit 541 acres in 2015, and has declined again. In general, aquatic plant communities experience boom-and-bust cycles, although not as extreme a what is seen in Piscataway Bay. The Potomac’s slightly salty (oligohaline) waters, which run from downstream of the Occoquan area to the Route 301 Bridge, experienced strong decreases of plants. Bob Orth, the Virginia Institute of Marine Science professor who conducts the annual bay surveys, noted that the extended dry period could be a major reason for the die-off. Salt-tolerant freshwater plants have been growing in the sector, and more than a year of drought conditions (preceding the frequent rain events of spring 2018) have increased the salinity and stressed the plants. The Potomac’s moderately salty (mesohaline) waters fared well, as did many of these areas in the bay. Expansion of eelgrass beds in these regions have grown during the last several seasons. The Potomac River, with more than 100 miles of tidal river will usually show a wider range of conditions because of its multiple habitats. Overall, “2017 was quite an exciting year for the survey. First, we exceeded 100,000 acres for the first time ever in the survey, and now have three successive years of record high numbers. Second, we noted submerged aquatic vegetation in two areas of the bay that had not seen any since 1972 (in front of the University of Maryland Center for Environmental Science Laboratory in Solomons, Md., and in the upper Choptank near Mumfort Island, Va.). Hopefully, this trend will continue in 2018.” Orth said. To learn how to identify different aquatic plants check out the previous Reporter article, Common Plant Species found in the Potomac River. 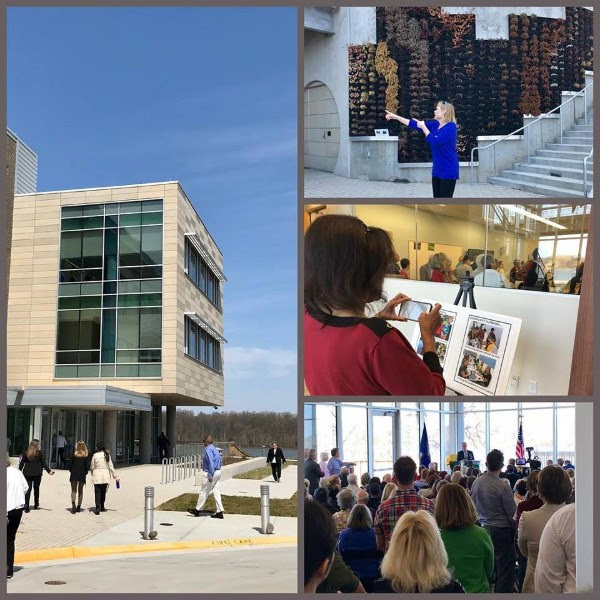 A large crowd gathered in Woodbridge, Va., on April 12, a rare warm spring day, to celebrate the opening of George Mason University’s Potomac Science Center on Belmont Bay. The new 50,000-square-foot complex will house the Potomac Environmental Research and Education Center (PEREC), a unit of the university devoted to environmental research on the Potomac and aspects of aquatic science, and include facilities for general environmental science and programs for teaching science to visiting area school groups. The facility meets LEED (Leadership in Energy and Environmental Design) Silver certification standards. The Potomac Science Center’s unique focus on the river makes it a valuable new asset for the basin. The university began that focus decades ago with continuing research on aspects of Belmont Bay and the Potomac and Occoquan rivers, and an overall emphasis on tidal freshwater habitats. Its most comprehensive effort is an ongoing study of the ecology of nearby Gunston Cove. Water quality, wildlife, and plant data have been collected at the cove for more than 30 years. The center has been a dream of PEREC Director Prof. R. Christian Jones for many years, and the new facility, with its beautiful waterfront location, modern building with gleaming new labs and class spaces is impressive. The new facility will invite partnerships with other institutions of all types, and make PEREC a leader in increasing understanding of the ecology of the tidal Potomac River. PEREC’s Prof. Cindy Smith, the K-12 Education and Outreach Director, led a group through the facility, highlighting both the laboratories with spectrometers and chromatographs, as well as classrooms and simpler tools that have helped her host area school groups in environmental education programs. Since 2009, PEREC has delivered watershed education to more than 40,000 Prince William County and 25,000 Fairfax County school students. The new center will help PEREC to provide even more opportunities for area schools, Smith noted. The next phase of development will include an enlarged pier providing deepwater access for research boats and as a platform for visiting school students to conduct experiments. The ICPRB congratulates our colleagues at PEREC and welcomes these new resources aimed at protecting and improving the Potomac. In the Potomac river basin, the month of April is known for light rain, spring flowers, and picking up trash. So. Much. Trash. More than 340,000 pounds of it. 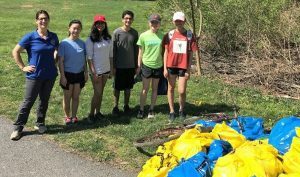 The Alice Ferguson Foundation has organized the Potomac Watershed Cleanup every April for the past three decades. Out of interest and need, the original one-day event has turned into a month-long lineup of river cleanups of all shapes and sizes throughout the watershed. 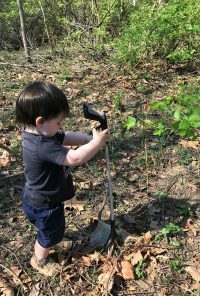 This past April, 9,700 people participated in the cleanup events, picking up all kinds of trash, including tires, plastic bags, and the recent poster-child of harmful litter, plastic straws. The Interstate Commission on the Potomac River Basin organized two events during the month of April. One in Frederick, Md. and one in Herndon, Va. There were 26 bags of trash picked up by 18 volunteers of all ages. We would like to thank those who joined ICPRB and other organizations to clean our streams and rivers! You don’t have to wait until next April to cleanup the river. Picking up trash is an easy way to protect our drinking water. Much of the trash along the road ends up in storm drains which can flow directly into your local river or stream. Why not take it a step further and go plogging? This is a new trend that combines jogging and trash pickup. 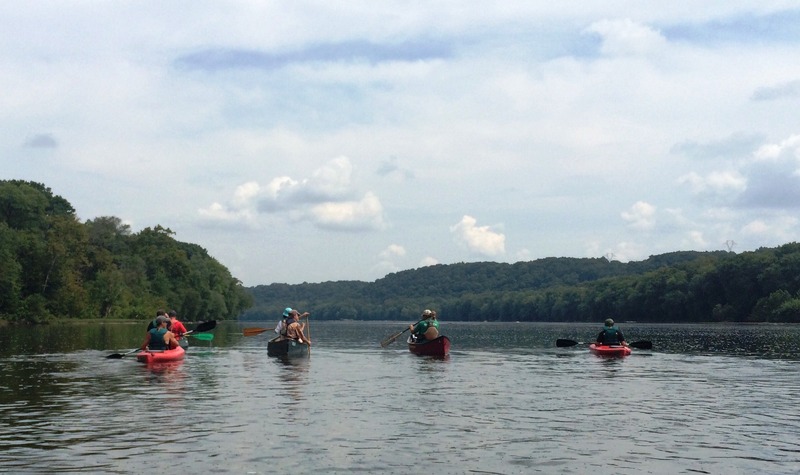 During the summer months, ICPRB publishes a weekly column, About the Basin, that introduces readers to fun and interesting places around the Potomac River basin. 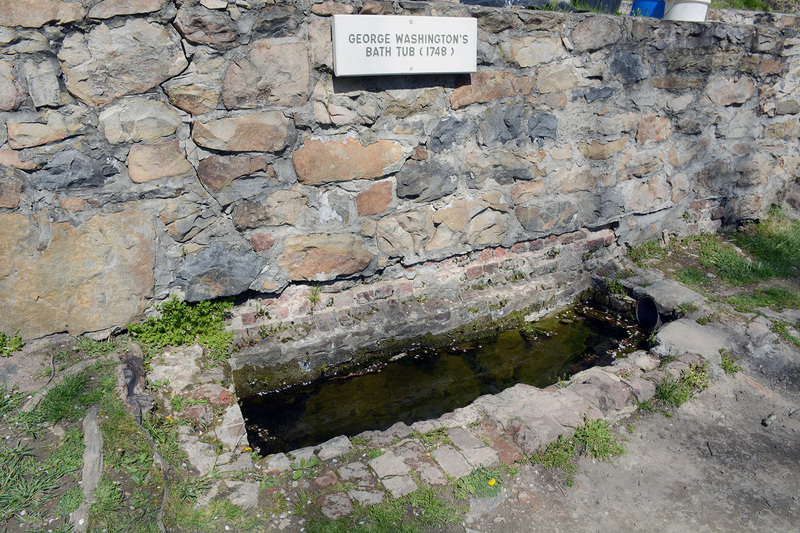 In case you missed it (ICYMI), a recent article about the only outdoor monument to presidential bathing, George Washington’s Bathtub, really caught the public’s attention! Follow us on Facebook and Twitter to catch future editions of About the Basin. This past Valentine’s Day we saw a lot of love from ICPRB Commissioners and staff when they participated in a #PotomacLove event across social media declaring why they love the river. Watch their stories in the video above. Then post your own #PotomacLove story on Facebook, Twitter, or Instagram. Few angling reports have come from the upper Potomac, its North and South branches, and the Shenandoah. All of these streams continue to run very high and muddy. Some anglers are reporting some smallmouth bass and catfish on the Shenandoah, although the river level near the mouth was again rising strongly. Freshly stocked trout remain in the North Branch Potomac, and several insect hatches are occurring. The upper Potomac remains very high and muddy, and the weekend rains may bring more debris into the river. There are some reports of smallmouth bass and catfish catches, but Saturday may be better spent thinking about future river trips rather than actually going. Conditions on the tidal Potomac improved during the previous week, although the rains will again reduce visibility, which had increased to about two feet. 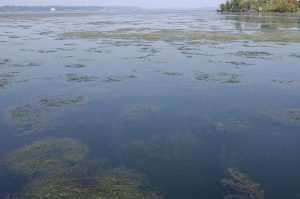 Good growth of Eurasian milfoil beds will be targeted by anglers once conditions improve. The rain and mud seems to have kept the hydrilla from growing quickly. Hydrilla’s dense structure makes it harder to fish. 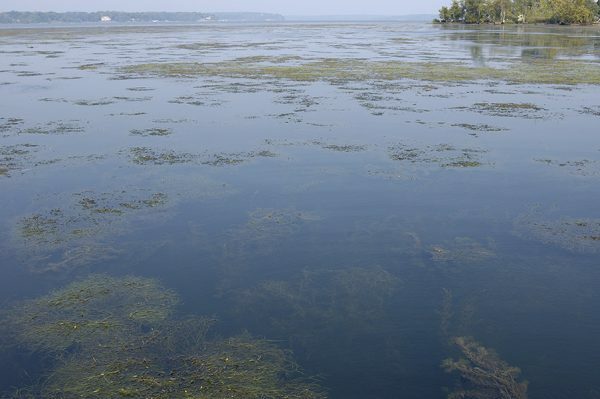 National Bass Guide Service recommends targeting milfoil beds on outgoing tides. Some fish are being taken at the Washington Channel wall grass beds, and catfish and some largemouth bass can be found around bridge pilings and wood structure. The structure off shore of the Blue Plains treatment plant is holding fish. Further downstream, the grass beds at the mouths of tidal creeks and in the Potomac’s main channel are holding some bass that are finishing their spawning mode. Topwater lures are getting some strikes during low light. The lower Potomac has been less affected, and anglers are taking some nice striped bass at the channel edge from St. George’s Island to Piney Point. Anglers are chumming, trolling, and jigging for the fish. Lots of white perch and few croaker are being caught. Crabbing is slowly improving. If you are homebound this weekend, check out a new Maryland DNR fishing too, Click Before You Cast. The web page provides a way for anglers to better target specific species based on water quality data. If you take MD-355 north out of Washington, D.C., you will drive through miles of urban and suburban landscape. Eventually, the houses and shops will turn into bucolic fields and forests. The gateway to this beautiful part of rural Maryland is Little Bennett Regional Park in Clarksburg, Md. The south side of the park is lined by housing developments named for the farms that once stood there, but pass through the park and Maryland becomes agricultural fields and small towns. Just as it is the gateway from urban to rural, Little Bennett also inhabits the ambiguous space between the past and the present. The park boasts 14 historic sites and 25 miles of forested hiking trails, but it also has a golf course, playgrounds, and more-than-adequate facilities for both glampers and campers. At 3,700 acres, there is a lot to do and see at Little Bennett. Eastern bluebirds and timberdoodles are just some of the notable wildlife in the park. If you see a large mound of dirt, admire the handiwork from afar but do not touch it. Those mounds are home to Allegheny mound-builder ants. They can become aggressive if disturbed. The park’s historic sites celebrate the agricultural and small-scale industries that covered Montgomery County, Maryland in the 18th, 19th, and 20th centuries. One of the 14 historic sites is a one-room schoolhouse built in 1893 and restored to its original appearance in the 1920s. Join park staff on the first Sunday of the month for a guided tour. The next tour is July 1st.